Welcome to our blog! 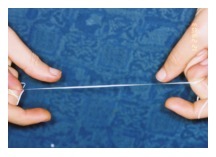 Where you can find different dental articles, tips and learn more about dental health. Check here often for special promotions, current events and news about our office! Become a FAN of our Facebook Page today for instant news! Check out our wall and promotions tab to get discounts on dental procedures. 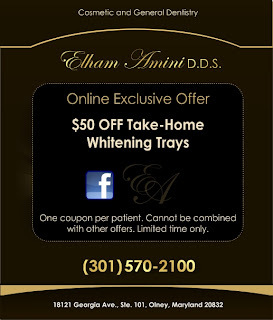 Make an appointment today with Dr. Elham Amini at (301) 570-2100 or visit our website at www.elhamaminidds.com.